The Gram flour is also known as Chana flour, and especially popular with the name of besan. 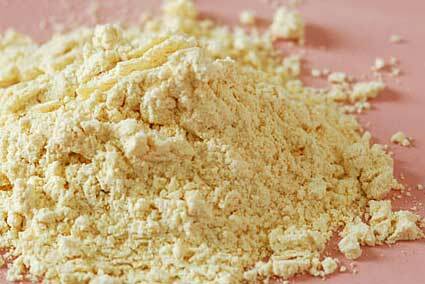 Gram flour is the flour made from ground chickpeas, a legume otherwise known as chana dal. It is also known as chickpea flour, garbanzo flour, or besan. Gram flour contains a high proportion of carbohydrates but no gluten, despite this, in comparison to other flours it has a relatively higher proportion of protein.